The Cellular Operations Group is the University liaison with the major wireless carriers (AT&T, Verizon, T-Mobile and Sprint) and manages their agreements and their equipment sites on campus. In addition, the group manages internal and external resources such as real estate, legal, IT infrastructure, campus partners, external vendors, installers and regulatory to improve cellular performance on campus and to stay abreast of the rapidly-changing wireless technology, in an effort to provide state-of-the-art cellular performance on campus. 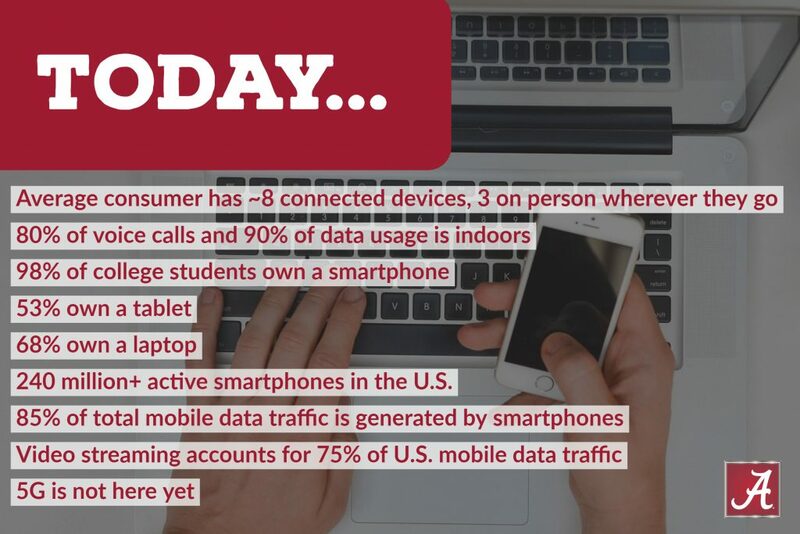 Students, faculty and staff expect voice and data capabilities of their mobile devices to simply work at all times and everywhere they are. They expect ubiquitous coverage. This poses significant technical and financial challenges to make this a reality in most campus environments. 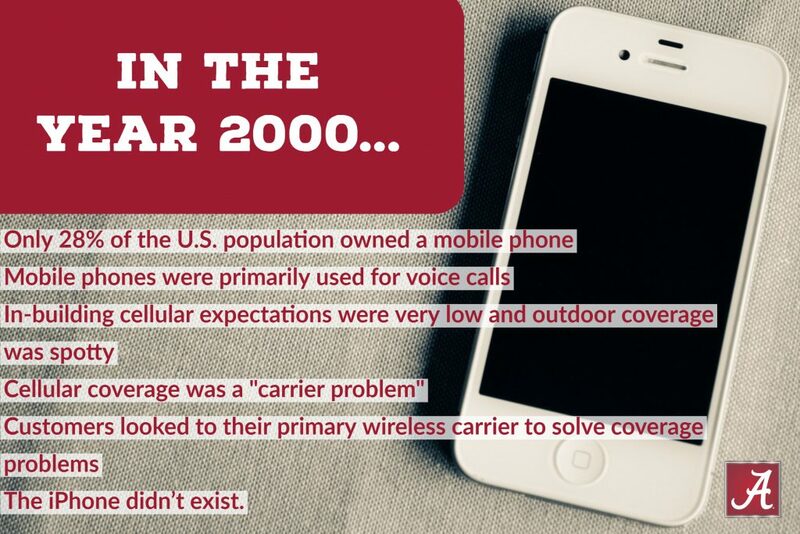 Cellular technology is a complex, challenging and dynamic technology that requires constant attention. Over the last 3 years, the University of Alabama has developed into one of the top campuses in the nation for cellular connectivity, with campus buildouts completed by AT&T, Verizon, T-Mobile and Sprint. In addition, Bryant Denny Stadium is equipped with one of the most advanced, state-of-the-art distributed antenna systems (DAS) in the nation for large sports arenas. All the wireless carriers own proprietary licensed spectrum that is used to provide cellular signal to their customers. Customers’ demand for improved cellular coverage has shifted more to “in-building” rather than outdoors and is quite challenging due to the extraordinary volume of global demand. The Cellular Operations Group is continually working with all the major wireless carriers to deploy their equipment to improve cellular coverage on campus, as well as inside buildings. 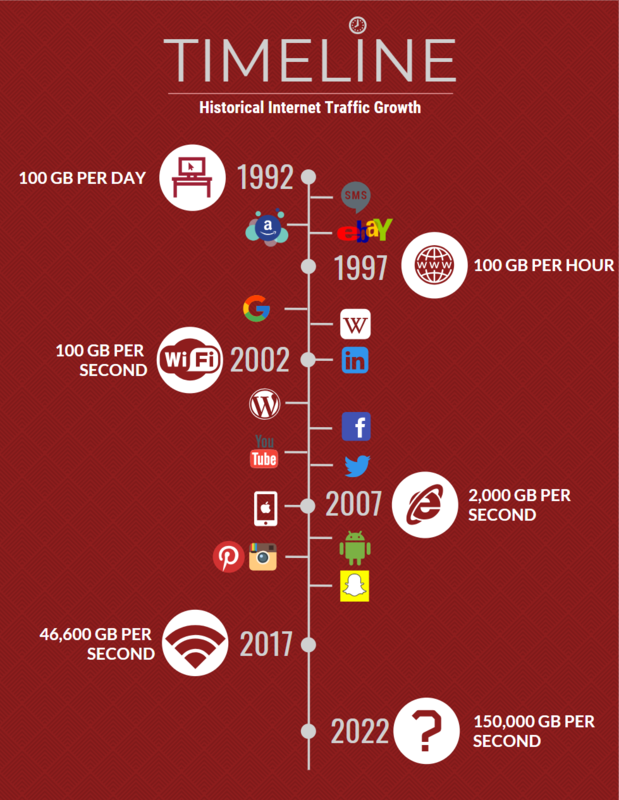 5th generation cellular technology (5G) is coming soon – likely in 2020. 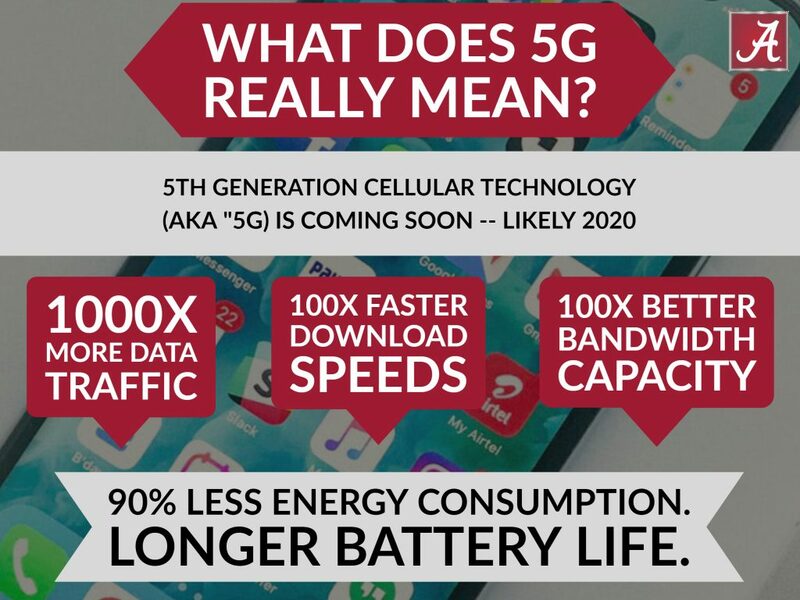 What does 5G really mean?